Blowout Sale! 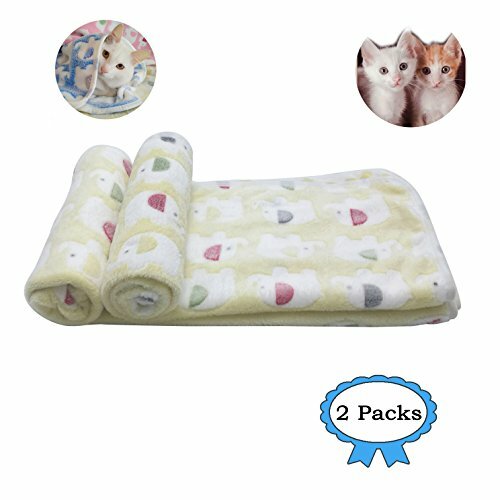 Save 57% on the 2 Packs Large 43'' x 35'' Cat Blanket Yellow Soft Warm Fleece Throw Blanket Pet Dog Blanket Fleece Puppy Blanket Cushion Ultra Light Comfortable Soft Warm Sleep Mat by Yizhi Miaow at People For Pets. MPN: 11275297. Hurry! Limited time offer. Offer valid only while supplies last. Large Blanket Soft Warm Fleece Throw Pet blanket soft and cute fleece for sofa and bed. Machine washable. Lightweight, breathable comfort. Soft and durable large blanket in the crate and carrier for more comfort for your pet. It's great for your fluffy friend to lay on the bed and sofa, only gets hair in the blanket. Include 2 blankets Color: YELLOW.Please check the dimesion of this blanket:44"x35"
If you have any questions about this product by Yizhi Miaow, contact us by completing and submitting the form below. If you are looking for a specif part number, please include it with your message.